Fresh flowers make any home just that little bit happier. There is something about freshly cut blooms that can put a smile on anyone’s face. The aroma is pretty enticing too! Whether you grow them in your garden or order them from your florist, here are some of my favorite everyday uses for a beautiful bouquet. Traditionally flower bouquets were given as a gift on special occasions. They might be delivered by hand when you visit a dear friend or you can order a flower delivery for relatives who live further away. They’re perfect for birthdays, anniversaries, and even as a thank you. You can order a bouquet online, making your choice quick and easy to do. This is one of the reasons why giving gifts of flowers has enjoyed a revival lately. There are still plenty of other places you can find a bouquet to give by hand though. And there are plenty of everyday uses for them too. 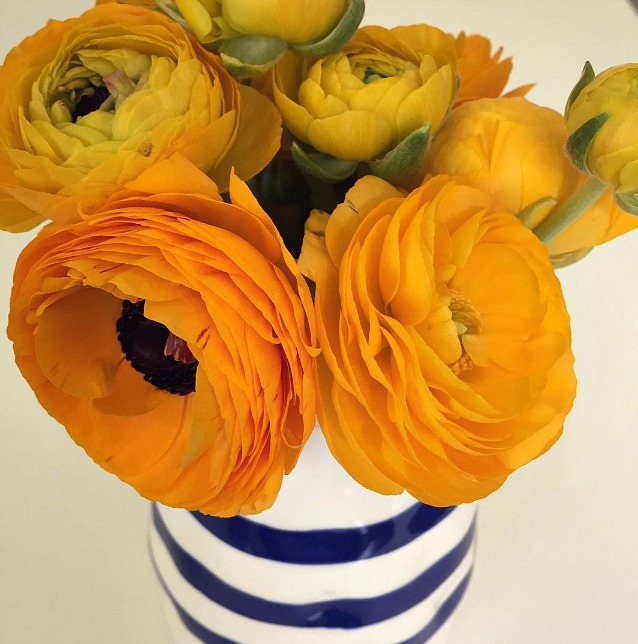 Take one look at my Instagram feed, and you'll see that I love decorating with fresh flowers. From my kitchen to the bedrooms to the bathrooms, you can find a vase of fresh flowers just about any day of the week. Blooms come in every color imaginable which makes them very versatile for interior decor. I love to shop at my local farmers' markets during the summer season, but in the off season, you can find good deals on fresh flowers at your local grocery store, local florist, or you can order your bouquet to be delivered from an online retailer. Using flowers to brighten up a room in your home is easy. You can order a presentation bouquet. This means the blooms are arranged and placed in a decorative pot, vase or basket. All you need to do is place it on a table, shelf or sideboard. Pick colors that complement your home decor. Usually, two or three related shades work best. As for the choice of presentation, that might depend on where you place it. You can take out individual stems and make your own smaller bouquet or arrangement. This can be ideal when you’re looking for something a little understated and elegant. These types of bouquets are perfect for smaller rooms in your home such as the bathroom. Flowers outside can brighten up the facade of any home. Hanging baskets of bright reds, pinks, purples or blues work very well next to a cream render. If your home is red-brick, aim for yellows, whites, and paler blues. Vibrant colors look amazing in the sunlight so go bold if you’re arranging for the sunny side of the house. Pots and troughs are ideal outdoors, because they can easily be moved to catch the best of the light. They can also be moved to more sheltered spots in bad weather. Best of all, you can rotate them so the freshest flowers are always out on display. Pots and troughs are also less prone to weeds than planting a flower bed. If you have beds, why not try brightly colored shrubs instead, or even some fragrant lavender or some herbs?